There may be scores of distinct biogeographic regions that have yet to be adequately represented in public aquaria, much less in the aquarium trade. A great many of them lay claim to a multitude of interesting, beautiful and diverse species. The islands of New Zealand serve as a particularly good example of this. The waters surrounding this island nation are inhabited by as many as 650 fish species. Despite the country’s remoteness, a surprisingly small number of its fish fauna is endemic; it really is an inter-oceanic crossroads of sorts, falling within the range of drift between East Australia, South Africa, and Japan. Hence, while it claims relatively few unique fish species, New Zealand is truly unique in that there one can find so many disparate varieties of fish occurring together. 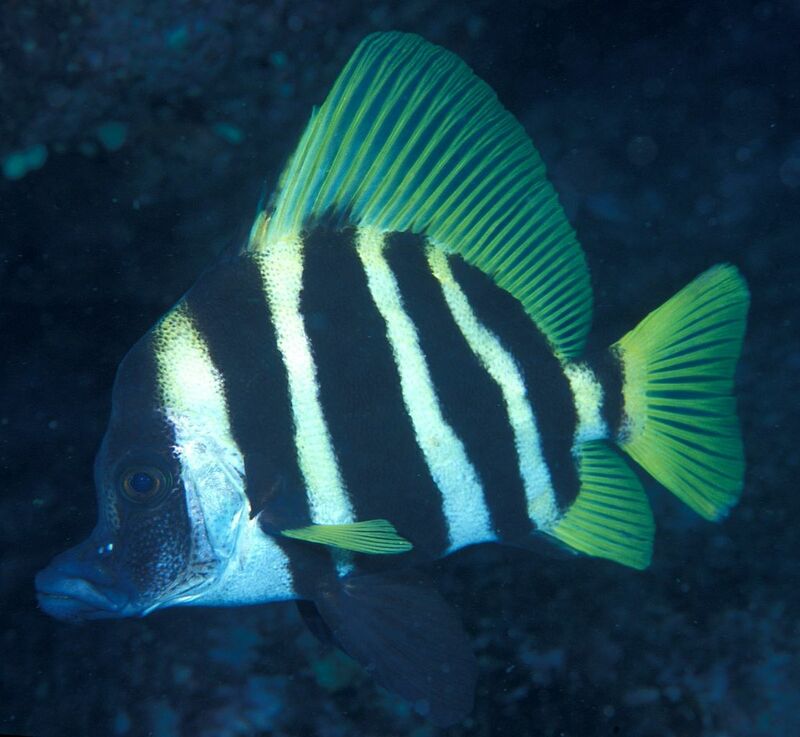 The Lord Howe coralfish (Amphichaetodon howensis) is an exceptionally handsome butterflyfish; male/female pairs are commonly observed near caves and arches near offshore islands. Photo by Ian Skipworth. Several species of small, shallow water frogfish, such as the common frogfish (Antennarius nummifer) occur in north-eastern New Zealand; these fishes are not very abundant, however, and are presumed to drift over as larvae from eastern Australia. Illustration by Tony Ayling. Smaller individuals of mado (Atypichthys latus) are known cleaners, extracting external parasites from larger fish. Photo by Ian Skipworth. 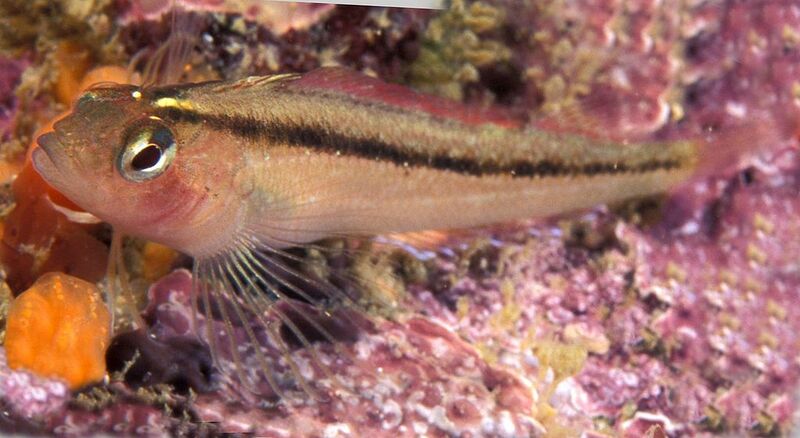 The Butterfly perch (Caesioperca lepidoptera) is a planktivorous serranid that occurs in rocky reefs as well as sand flats in both coastal and offshore habitats. Photo by Ian Skipworth. Its environs lie within a latitudinal belt that stretches from the more or less tropical Kermadec Island in the north to sub-antarctic Macquarie Island in the south. 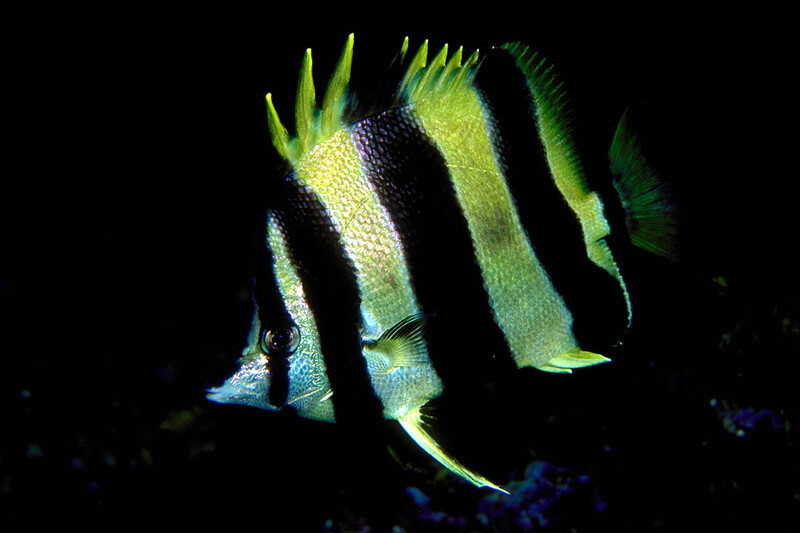 The majority of fishes of potential interest to the home aquarist, however, can be found in its subtropical and temperate inshore rocky reef habitats. These rich biological communities may be further subdivided into a number of distinct habitats, from shallow tidepools to lush kelp forests. This particular brand of rocky reef not only occurs in New Zealand proper, but actually abounds within a longitudinal belt that runs from New South Wales to Lord Howe Island to the Poor Knights Islands. Whether because, or despite, the county’s proximity to so many extraordinary marine habitats, interest in marine aquarium keeping appears to be weak there. One resident saltwater fish importer complains, with at least some incredulity, that out of a population of 4 million, probably no more than a 1,000 individuals keep marine aquaria. This is perhaps attributable at least in part to the New Zealand government’s strictly imposed quarantine period for imported aquarium fish (3 weeks for saltwater livestock, 6 weeks for freshwater livestock), which raises retail prices considerably. Some ornamental fish and invertebrate species are prohibited altogether. As koi are no longer allowed within its borders, New Zealand’s pond keepers have increasingly been experimenting with native freshwater fish species (local retailers have even begun to offer certain native species for this market). Likewise, a handful of marine aquarists there have made attempts (some quite successfully) to create attractive aquarium exhibits with locally obtained flora and fauna. Surprisingly little is known about the biology of the clown toado (Canthigaster callisternus), which was first reported in 1968. Photo by Ian Skipworth. 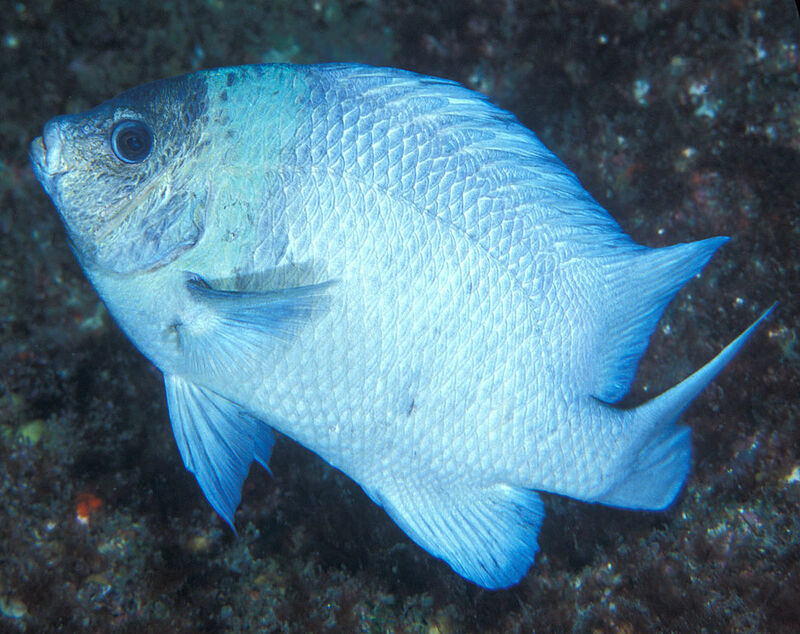 Though the demoiselle (Chromis dispilus) spends most of its time in open water near vertical rock structures, it will occasionally rest in fronds of Sargassum weed. Photo by Ian Skipworth. 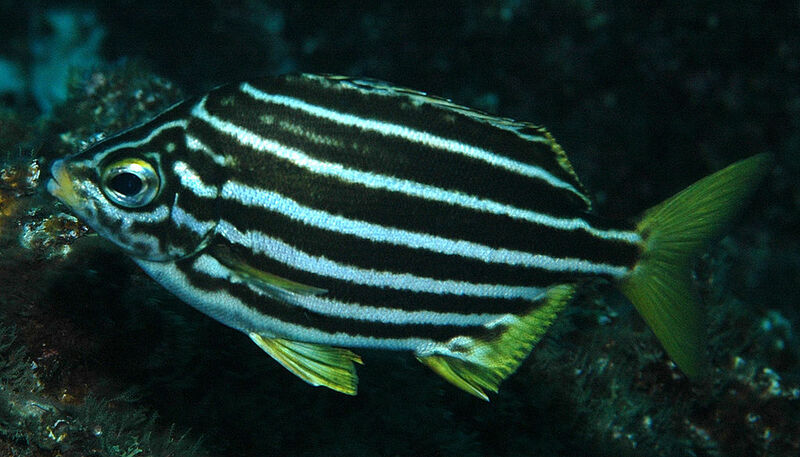 The striped boarfish (Evistias acutirostris) is attractive, but needs a large aquarium as it reaches an average length of 30 to 55cm. Photo by Ian Skipworth. The common triplefin (Forsterygion lapillum) is found mainly in rocky tidepools, where it feeds on small crustaceans and worms. Photo by Ian Skipworth. Male yellow-and-black triplefin (Forsterygion flavonigrum), like others in the family Tripterygiidae, are especially territorial during spawning season. Photo by Ian Skipworth. 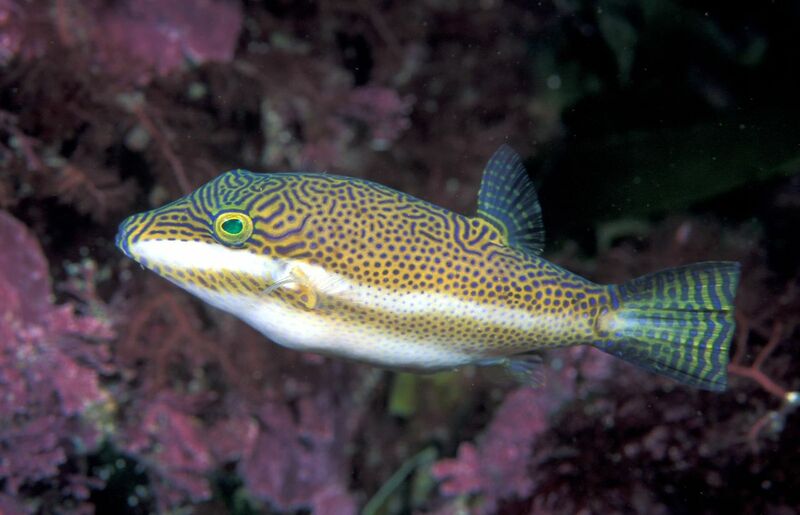 The spotted moray (Gymnothorax prionodon) is a rather aggressive eel that inhabits deeper (20 to 80m) reefs. Photo by Ian Skipworth. 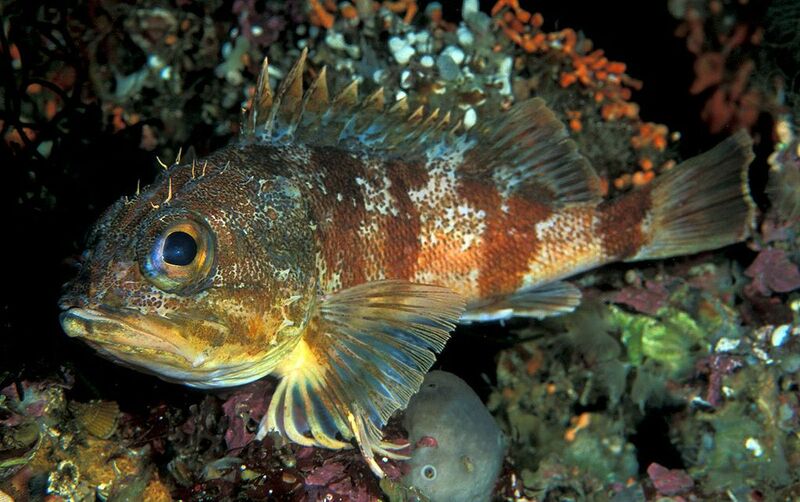 The sea perch (Helicolenus percoides) is a deep water species but occasionally occurs in waters shallow enough (20m) to be encountered by divers. Photo by Ian Skipworth. These successes pose an interesting question: Could any of the species from this region ever become popular in the global ornamental fish trade? One might suppose so, given hobbyists’ apparently increasing appetite for rare and unusual fishes. Subtropical and temperate aquaria in particular have steadily gained prominence, with ever more offerings of such species to be found on LiveAquaria.com and now even specialty suppliers such as Coldwater Marine Aquatics. A growing awareness of the fishes from these areas could lead to a stronger demand in the trade, which could in turn spur suppliers worldwide to distribute them. Harvest and export from New Zealand would undoubtedly serve to fill voids already existing from closures enforced in nearby areas (e.g., the Lord Howe Island group). 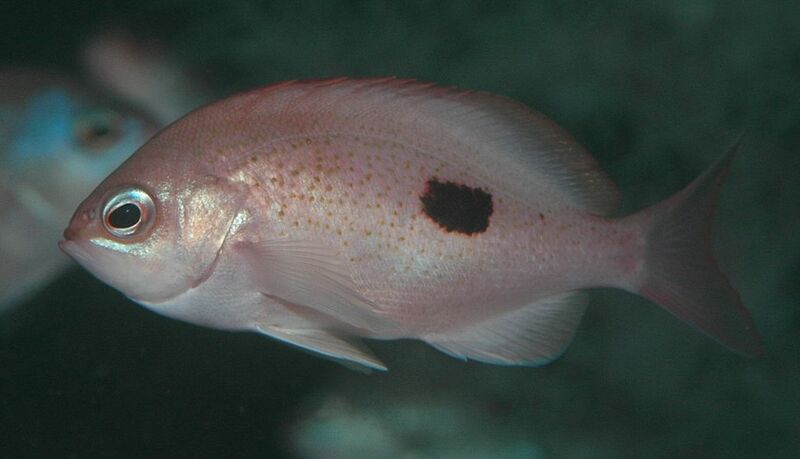 The redbanded perch (Hypoplectrodes huntii) is one of the few New Zealand endemics. Photo by Ian Skipworth. 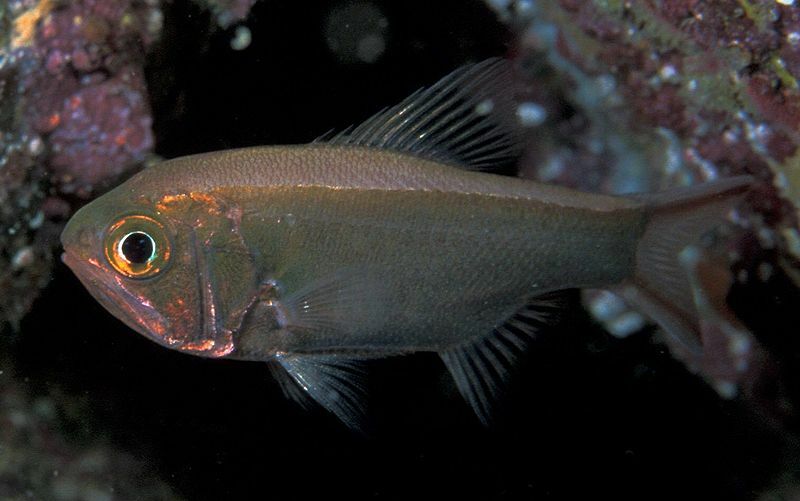 Although the long-nosed snipefish (Macroramphosus scolopax) is found mainly in deep midwater offshore environments, it is here included on account of its potential as an extremely interesting aquarium fish. Illustration by Tony Ayling. 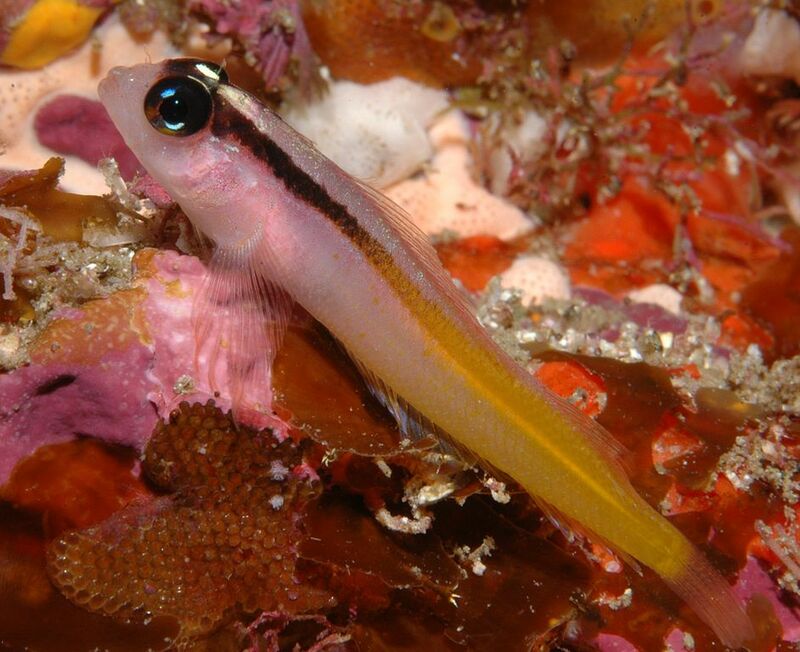 The blue-dot triplefin (Notoclinops caerulepunctus) occurs in tidepools down to the subtidal zone, and has been observed cleaning moray eels. Photo by Ian Skipworth. 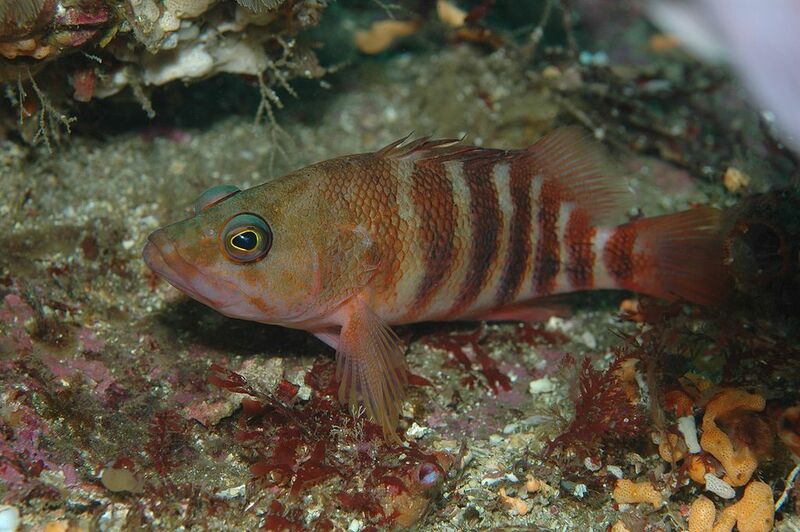 The blue-eyed triplefin (Notoclinops segmentatus) is a subtropical beauty from mainland New Zealand that could be a highly popular aquarium fish, if it were made available. Photo by Ian Skipworth. Yaldwyn’s triplefin (Notoclinops yaldwyni) is but one of many triplefins that are quite suitable for the home aquarium. Photo by Ian Skipworth. The slender roughy (Optivus elongatus) is a nocturnal planktivore that spends much of its time during the day under rocky overhangs and caves. Photo by Ian Skipworth. 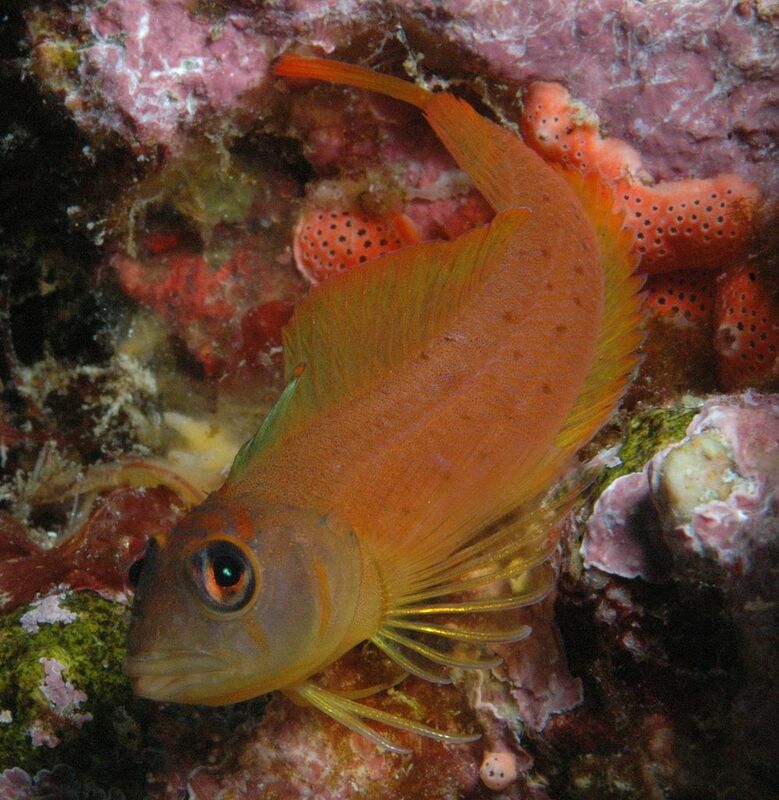 The crested blenny (Parablennius laticlavius) inhabits rock faces, where it is often associated with sea urchins. Photo by Ian Skipworth. 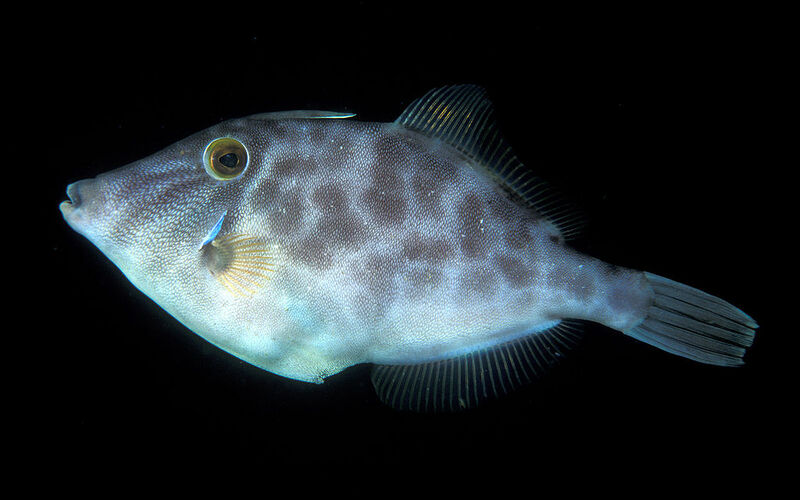 The leatherjacket (Parika scaber) is found in a variety of colors, from near white to dark grey or brown with darker brown patches. Photo by Ian Skipworth. 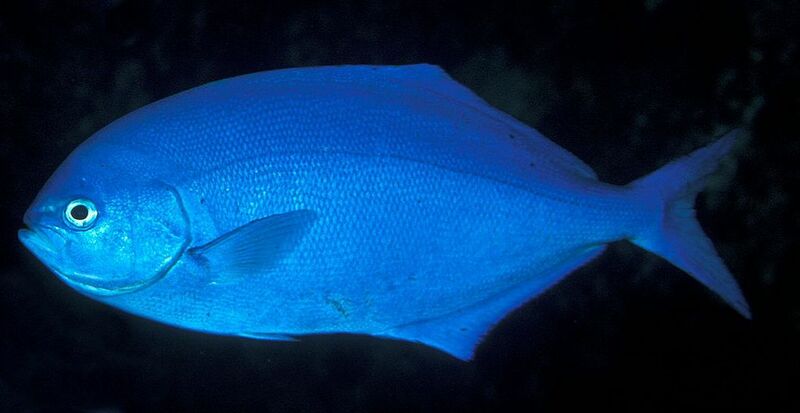 The adult Kermadec scaleyfin (Parma kermadecensis) has a vivid electric blue color; juveniles are equally impressive, with a golden yellow base color and thick black bars. Photo by Ian Skipworth. The spotted surgeonfish (Prionurus maculata) has a blue-gray base color with red-orange spots. Illustration by Tony Ayling. The speckled triplefin (Ruanoho whero) often shelters near stones, where it feeds on a wide variety of small benthic invertebrates. Photo by Ian Skipworth. The sweep (Scorpis violaceus) is a schooling planktivore. Photo by Ian Skipworth. The following overview is presented with the aim of contributing to such an awareness, if not a greater representation of these remarkable species in the aquarium fish trade. This multimedia work is comprised mainly of still images by photographer, diver and adventurer Ian Skipworth, video by marine aquarium hobbyist and videographer “corralimorph” (otherwise known at Aquaria Central as “coldmarine007”), and illustrations by biologist, author and artist Tony Ayling. Material in the captions borrows heavily from Collins Guide to the Sea Fishes of New Zealand by Tony Ayling and Geoffrey J. Cox. The spiny sea dragon (Solegnathus spinosissimus) has an unusual morphology and appealing yellow-orange coloration; despite its potentially high value in the ornamental fish trade, New Zealand’s Northland lobster fishermen regularly cast it aside as by-catch. Illustration by Tony Ayling. 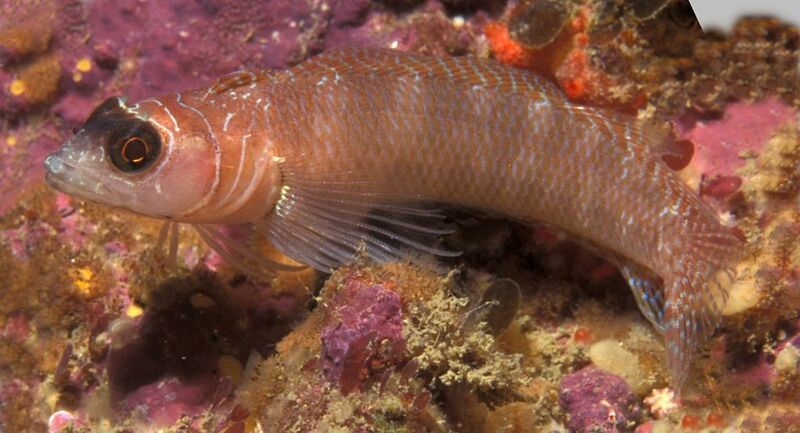 The lavender lizardfish (Synodus similis) is named for its pale lavender striping. Illustration by Tony Ayling. 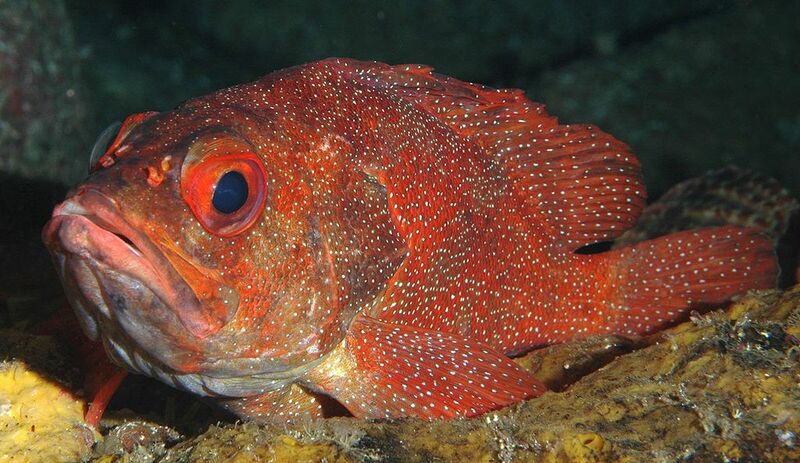 The toadstool grouper (Trachypoma macracanthus) is strictly nocturnal. Photo by Ian Skipworth. 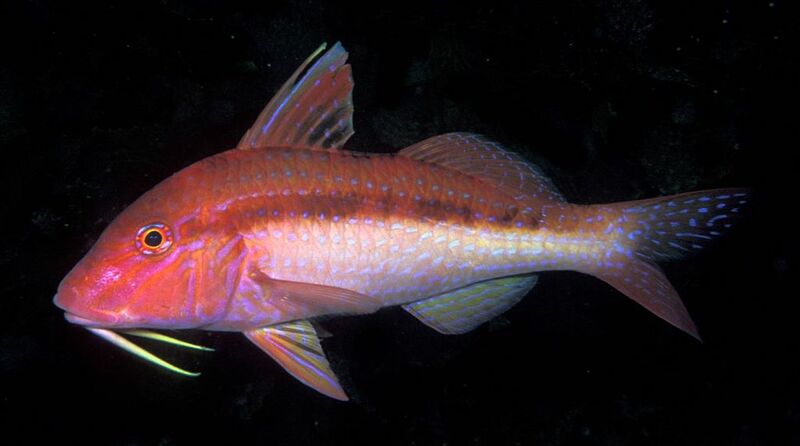 The red mullet (Upeneichthys lineatus) is a particularly robust goatfish; while small individuals feed mainly on worms and crustaceans, large individuals feed mainly on blennies and triplefins. Photo by Ian Skipworth. 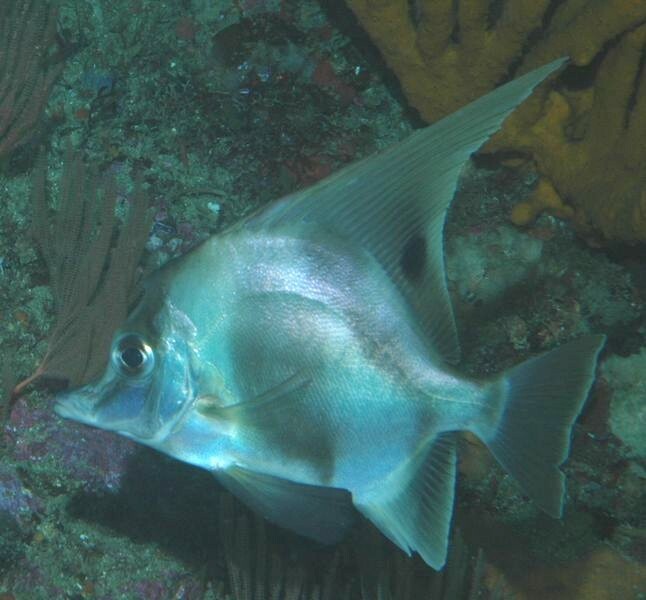 The long-finned boarfish (Zanclistius elevatus) occurs near steep, sponge- and gorgonian-covered rocky slopes of offshore reefs. Photo by Ian Skipworth. Note: Fortunately for New Zealand aquarium hobbyists, there is no permit required for harvesting/keeping marine species provided they meet the size and bag limit requirements and are taken by legal means. Unfortunately for the rest of the world, these fish presently cannot be kept for sale (including barter or trade), breeding or distribution (reseeding, etc.). Would-be exporters and other stakeholders could work with New Zealand’s Ministry of Fisheries, however, to relax certain restrictions (particularly those meant to protect sportfish/foodfish stocks) to allow for a well managed marine ornamental fishery. Such industries would not only create economic opportunity for a great many of its citizens, but would furthermore promote a global awareness and appreciation of its rich coastal resources. Ayling, Tony and Geoffry J. Cox. 1984. Collins Guide to the Sea Fishes of New Zealand. William Collins Publishers Ltd.